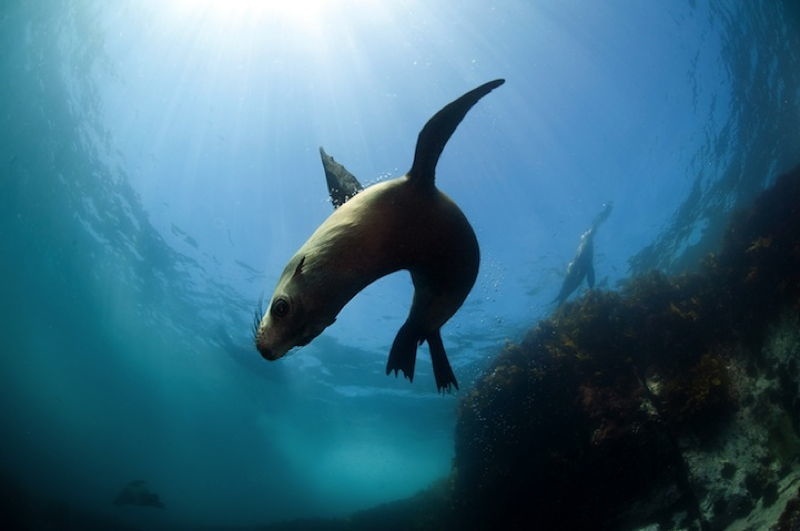 Underwater wildlife has never been better captured–or for that matter, sweeter. 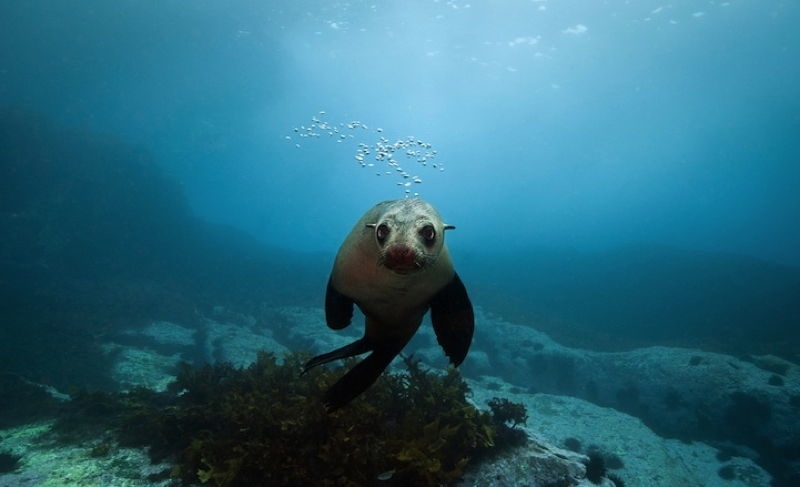 Taking a dip into the waters that surround New South Wales’ fauna-filled Montague Island, Australian photographer Alastair Pollock has brought all of us lacking flippers or frequent flyer miles several high-resolution glimpses of the adorable Australian fur seals scurrying about. 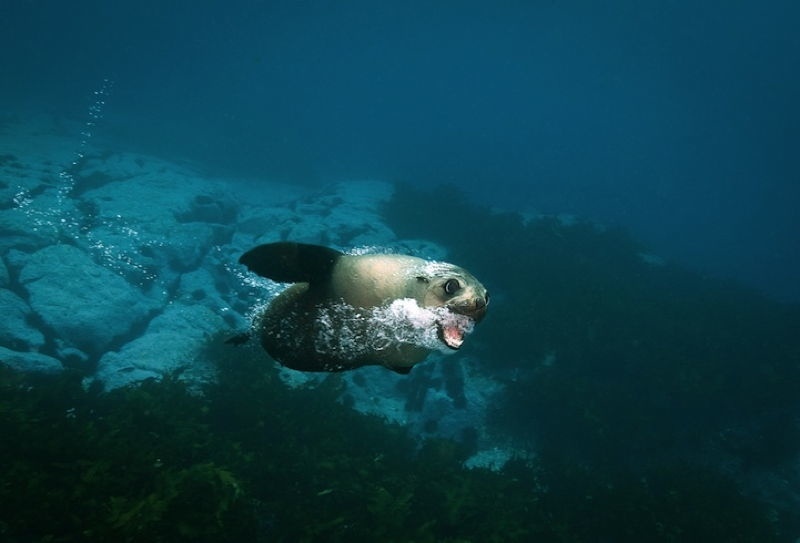 NB: if you go during the winter, you’ll have no problem seeing over a thousand of them on any given day. If you don’t share Pollock’s adventurous spirit, though, there’s always a great gallery of his work at My Modern Met. When thinking of ways to delineate time and examine your life’s priorities, most would neglect to utilize the colorful cavity-causer known as the jelly bean. That, however, ignores the fact that most people are quite unlike Ze Frank. 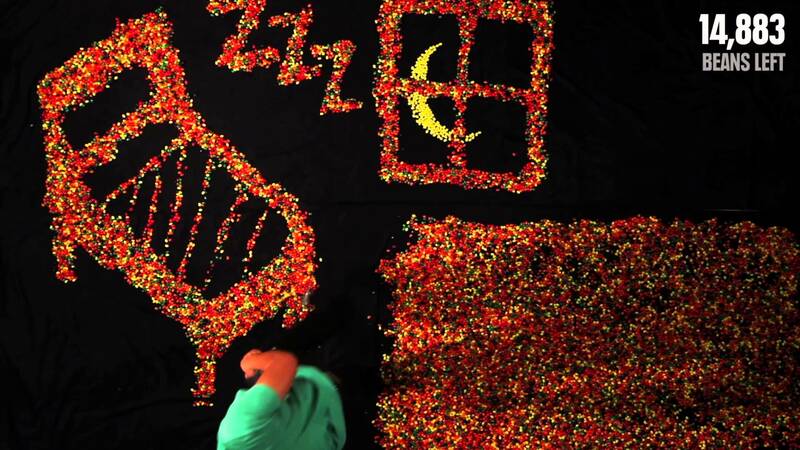 In “The Time You Have (In Jelly Beans)”, the online performance artist uses the candy to wax philosophic on what to do with the 28,835 beans with which we are all endowed. For most, art is something which hangs on a wall or which stands on the ground. 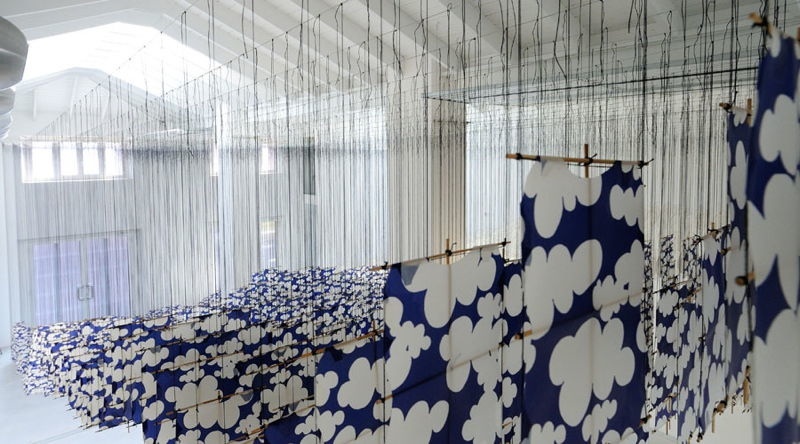 To New York-based artist Jacob Hashimoto, though, the vast space between the ceiling and the floor makes for an exemplary canvas. 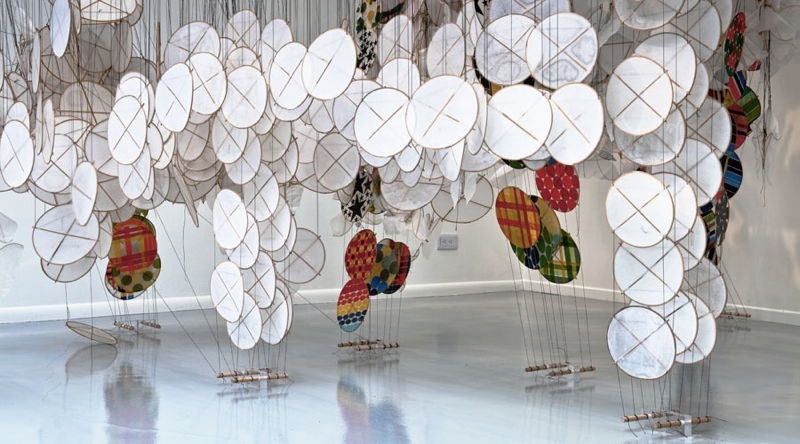 Thousands of kite-like circular apparatuses comprise Hashimoto’s dreamlike “cloud” installations, and given their composition (light silk fabric glued to an even more featherweight bamboo frame) they exhibit the same movement as their puffier cumulonimbus cousins. 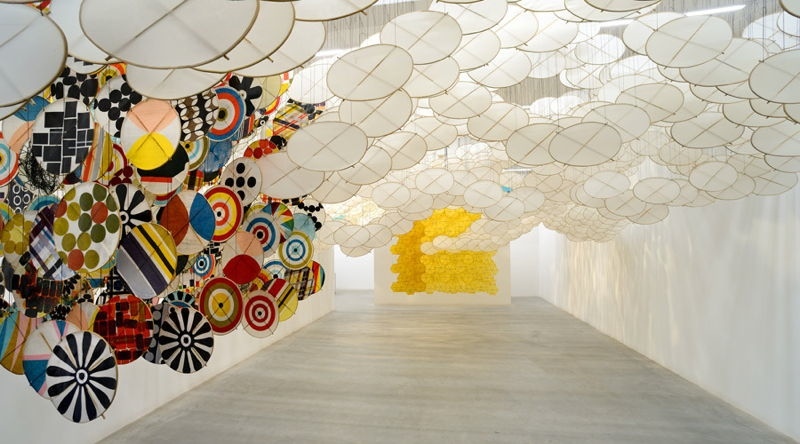 Thanks to air and light’s natural installation sculpting, each piece of art–pending on time of day and place–is unique in shape and color. To see more, be sure to visit Juxtapoz.